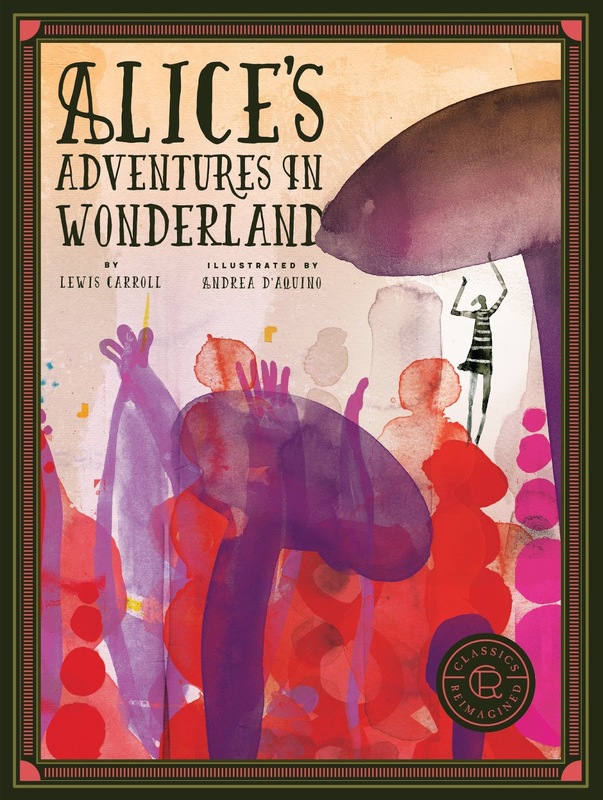 I received this beautifully illustrated paperback edition of Alice's Adventures in Wonderland in a Goodreads giveaway from Rockport Publishing, an imprint of Quarto. It has a sturdy matte cover and purple page edges, which I love. As a book designer with experience on the production end as well, I think it's a really special touch that some publishers don't go for because it can be quite pricey, and page edge colors aren't an immediate selling point for books sitting on a shelf. The full-color interior boasts modern-looking collage illustrations on just about every other page. I think what helps this edition stand out from the countless others is that the illustrations are intricate and abstract, and therefor more geared toward adult readers. They're still fun and whimsical, but they're also eclectic and different. This is definitely my new favorite copy, and I have 3 or 4 editions.